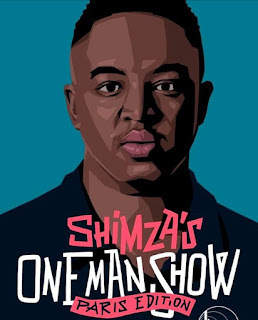 South Africans who would like to witness Shimza's one man show this year, will have to travel to Paris to see the epic event. The Music Producer, whose real name is Ashley Raphala, informed his fans via social media that his one man show will be hosted in Paris, France. The post shared by Shimza, showa that if you believe in something, you must speak it into existence and keep on pushing. “Shimza In 2009: I’m starting a show and I’m going to call it Shimza’s One Man Show. Shimza In 2019: I’m taking my One Man Show to Paris,” he wrote. He ended off saying, “Believe and keep on pushing”. Shimza In 2009: I’m starting a show and I’m going to call it Shimza’s One Man Show. Shimza In 2019: I’m taking my One Man Show to Paris.